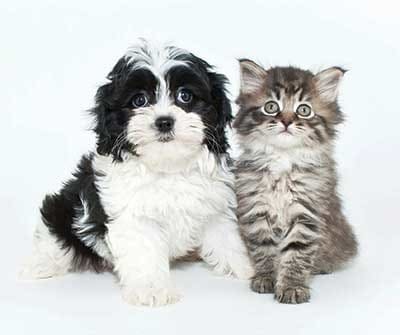 Riverton Knolls offers pet friendly apartments for rent in Henrietta, NY. Your pets will enjoy our unique property with open green spaces, jogging trails, and even a pond. Get outside for a game of fetch with your pooch or lounge around indoors finding the sunny spot with your cat. Our community is minutes from the local favorite, Lookup Park. Lookup Park features a fenced-in, off-leash play area and a guaranteed day of furry fun. When it comes to caring for your pet’s health, Riverton Knolls Apartments is a short distance from several veterinary offices such as East River Veterinary Hospital and Scottsville Veterinary Hospital. For supplies, visit Buster’s Market or Petco. For more information on the Riverton Knolls Apartments pet policy, speak with a member of our staff. We look forward to answering your questions or scheduling a tour of our pet friendly apartments for rent in Henrietta, NY.